Habitat Regulations Assessment (HRA) has been high on the agenda this year, with some important rulings from the Court of Justice of the European Union (CJEU) grabbing the headlines. If you’ve chosen to read this, we hope you will find the concise summary and analysis below useful! As has been widely publicised, in April’s ‘People Over Wind’ case the CJEU ruled that, contrary to domestic case law, guidance and common practice in the UK, it is not correct to take into consideration any factors intended to avoid or reduce harmful effects (i.e. ‘mitigation’ measures) at the initial screening stage of HRA. Rather, such measures should be considered in the second stage of assessment under Article 6(3) of the Habitats Directive; termed Appropriate Assessment. Taken at face value, it would be difficult to overstate the significance of this policy. The past decade has seen the widespread adoption of strategic mitigation frameworks as development enabling mechanisms for land near European sites. This is particularly the case where recreational pressure is known to be a factor risking disturbance and damage to the species and habitats underpinning the site designations. The classic example of this is the Thames Basin Heaths SPA, where a Joint Strategic Partnership of 13 Local Authorities implement a development exclusion zone of 400m from any of the SPA composite parcels, and require mitigation for all residential development within 5km. This is set out in an agreed avoidance strategy involving the provision of Suitable Alternative Natural Greenspace (SANG) and Strategic Access Management and Monitoring (SAMM) payments. 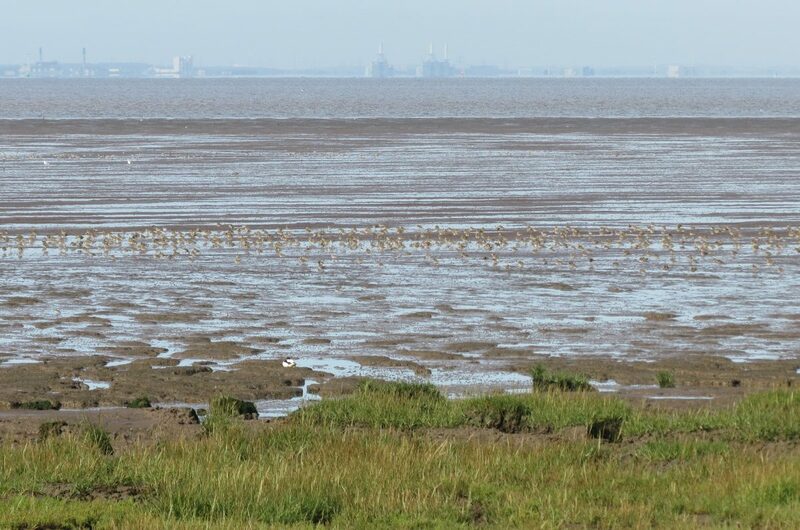 Another, more topical example is the Blackwater Estuary SPA in Essex, where the recreational catchment has recently been established as being up to 22km from the SPA. Consequently, in this situation, the emerging requirement for mitigation, and hence the triggering of Appropriate Assessment, extends to this same considerable distance. Indeed, we’ve already seen Local Authorities seeking to use Paragraph 177 to disengage the presumption in favour from sites caught in just these circumstances. In their July response to the NPPF consultation, the Government confirmed in respect of the People Over Wind judgement, that whilst it was examining the implications of this judgement, it was not proposing any changes to the Framework at this stage. Such assets or areas do explicitly include European sites. Despite the apparently unambiguous disengagement of the presumption under Paragraph 177, one interpretation is that the wording of Paragraph 11 offers a lifeline. Part of the CJEU’s rationale in determining that mitigation measures should not be considered within plan or project screening was that to do so would (a) infer that effects on a European site were otherwise likely, thus triggering an Appropriate Assessment under correct HRA procedure, and (b) undermine the protection afforded to European sites by the HRA framework. The disengagement of the presumption in favour of sustainable development under the NPPF should, perhaps, be seen in these same terms. Under the Habitats Directive Article 6(3), an appropriate assessment is required where the implications of any plan or project are “likely to have a significant effect” on a European site. Arguably it is perfectly reasonable that, by default, such instances should not qualify as ‘sustainable development,’ and, by extension, that the presumption should not apply. However, in this situation, the wording of Paragraph 11 may be pivotal; permission is to be granted unless other protective policies provide a clear reason for refusal. If, further to the measures implemented to avoid or reduce harmful effects on a European site, a plan or project is found through Appropriate Assessment to have no adverse effect on the integrity of that site, then no such clear reason for refusal exists. The starting point is unequivocal; a plan or project which triggers Appropriate Assessment, and which is therefore by definition likely to have a significant effect on a European site (‘likely’ having been clarified in case law as meaning, in HRA terms, ‘a risk of’) loses its presumption in favour. However, where through the introduction of mitigation measures that Appropriate Assessment demonstrates that there will be no adverse effect on the integrity of the European site concerned, there is a clear case to be made that the presumption should be restored.